The Browns origins date to 1944, when taxi cab magnate Arthur B. “Mickey” McBride secured the rights to a Cleveland franchise in the newly formed All-America Football Conference. The AAFC was to compete with the dominant National Football League once it began operations at the end of World War II, which had forced many professional teams to curtail activity, merge or go on hiatus as their players served in the U.S. military. The name of the team was at first left up to Paul Brown, who rejected calls for it to be christened the Browns. The franchise then held a naming contest to publicize the team, promising a $1,000 war bond to the winner. In June 1945, a committee selected “Panthers” as the new team’s name. McBride, however, changed it to the Browns two months later, the result of another naming contest that suggested Browns, not after Paul Brown himself, but as a shortened version of Brown Bombers, a reference to the nickname of boxer Joe Louis. Some sources say McBride was asked for thousands of dollars in compensation from a businessman who owned the rights to the name Cleveland Panthers, an earlier failed football team. 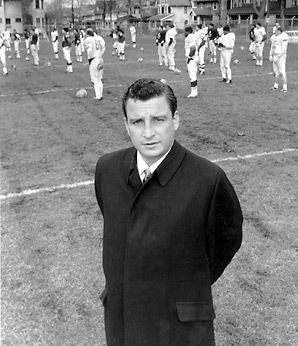 Art Modell, a 35-year-old advertising executive from Brooklyn, purchased the team in 1961 from a group of shareholders led by National Insurance Company. The beginnings of a power struggle between Paul Brown and Art Modell took its toll. Journalist D.L. Stewart recounted in Jeff Miller’s book on the AFL, Going Long, “As you well can imagine, Jimmy Brown and Paul were not thick. The buzz was that Jimmy had Modell working for him, and Paul took exception to that.” The season otherwise was typical: a fifth consecutive league-leading season from Jim Brown and a half-decent performance in the standings, but again, at 8–5–1, they were two games out of a berth in the championship. In February 1996, the NFL announced that the Browns would be ‘deactivated’ for three years, and that a new stadium would be built for a new Browns team, as either an expansion team or a team moved from another city, that would begin play in 1999. Modell would in turn be granted a new franchise, the NFL’s 31st, for Baltimore, the Baltimore Ravens, retaining the current contracts of players and personnel. The Browns ceased play at the end of the 1995 season when Modell relocated the organization to Baltimore. The Browns franchise was then reactivated, and its roster restocked via an expansion draft before resuming play in the 1999 season. There would be a new team, but the Browns’ name, colors, history, records, awards and archives would all remain in Cleveland. The move fueled a proliferation of 12 new stadiums throughout the NFL. 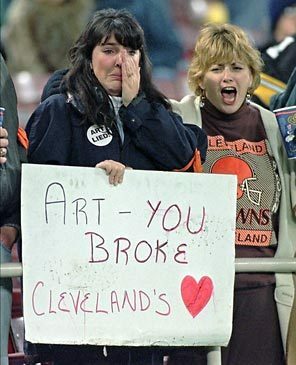 Using the NFL–City of Cleveland agreement’s promise to supply a team to Cleveland by 1999, several NFL franchises used the threat of relocation to coerce their respective cities to build new stadiums with public funds. 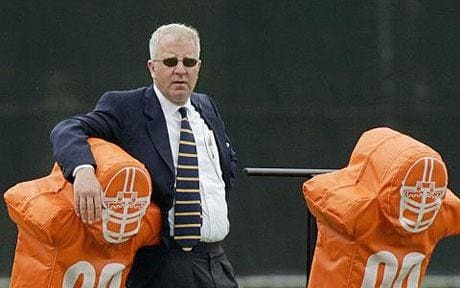 Cleveland returned to the NFL in 1999 with high hopes and expectations, featuring deep-pocketed ownership in Al Lerner. When his father, Al Lerner, died in October 2002 – four years to the day after he was awarded the new Browns franchise – the ownership of the team passed on to Randy Lerner. Randy Lerner served as a member of the National Football League’s Business Ventures Committee. 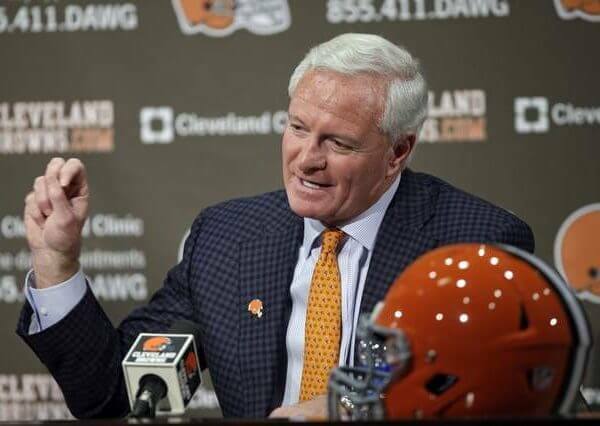 In 2012, Lerner sold the team to businessman Jimmy Haslam. The Cleveland Browns are a professional American football team based in Cleveland, Ohio. The Browns compete in the National Football League (NFL) as a member club of the American Football Conference (AFC) North division. The Browns play their home games at FirstEnergy Stadium, which opened in 1999, with administrative offices and training facilities in Berea, Ohio. The Browns' official colors are brown, orange and white. They are unique among the 32 member franchises of the NFL in that they do not have a logo on their helmets and are the only team named after a specific person, original coach Paul Brown. 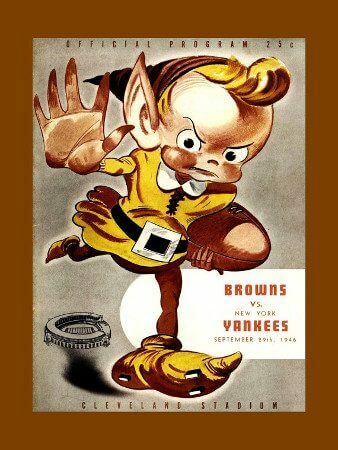 Browns - There’s some debate about whether Cleveland’s professional football franchise was named after its first coach and general manager, Paul Brown, or after boxer Joe Louis, who was nicknamed the “Brown Bomber.” Team owner Mickey McBride conducted a fan contest in 1945 and the most popular submission was Browns. According to one version of the story, Paul Brown vetoed the nickname and chose Panthers instead, but a local businessman informed the team that he owned the rights to the name Cleveland Panthers. Brown ultimately agreed to the use of his name and Browns stuck. Who is the greatest Cleveland Browns?